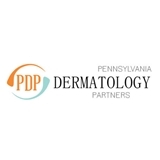 Pennsylvania Dermatology Partners (Reading) - Book Appointment Online! Our medical professionals treat a full spectrum of diseases of the skin, hair, and nails. Our staff keeps up to date on the latest treatment options. We welcome patients with complicated problems. Friendly office staff, easy to get an appointment, nice doctor. Will go back if we need a derm. again. Dr Koo was very compassionate and understood my son’s disease.